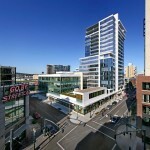 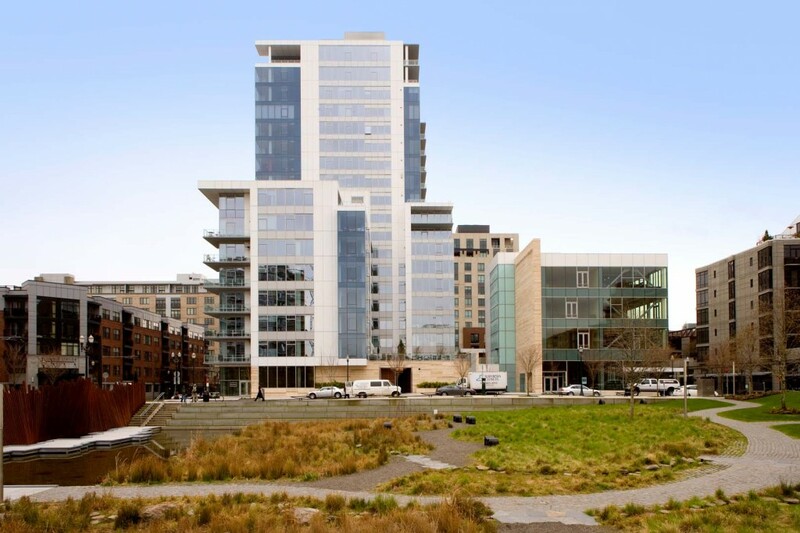 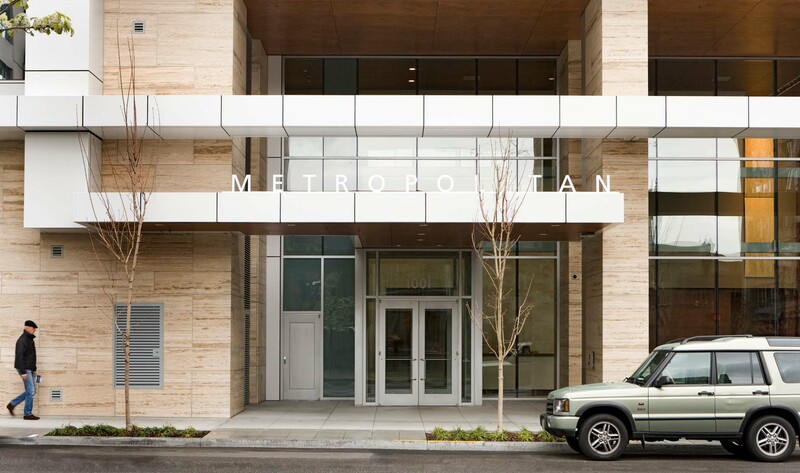 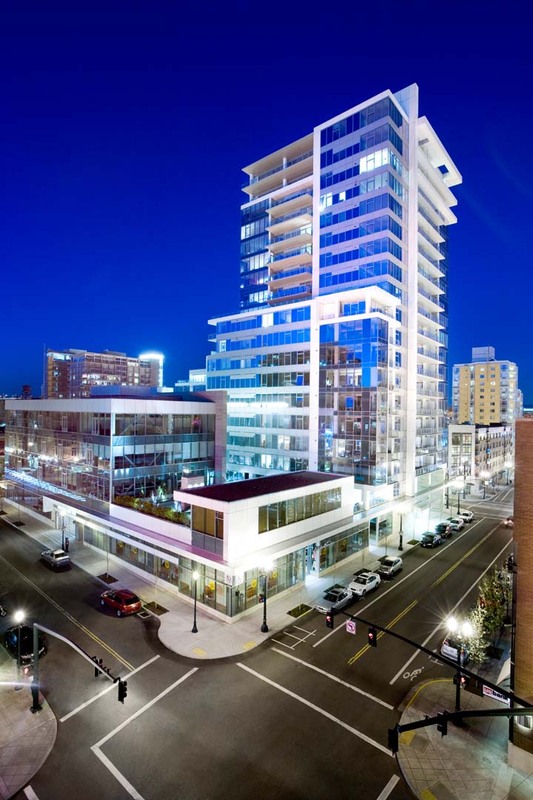 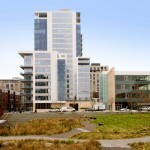 The Metropolitan is a 19-story mixed-use residential tower that sits in Portland’s revitalized Pearl District. 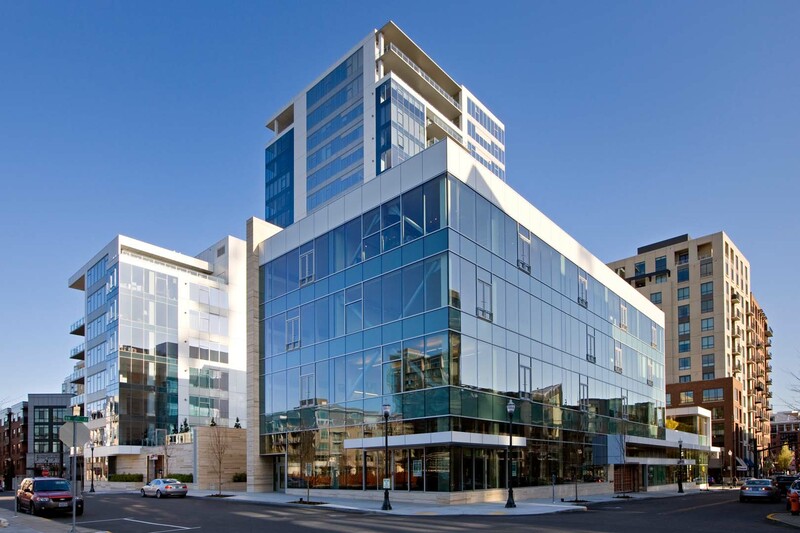 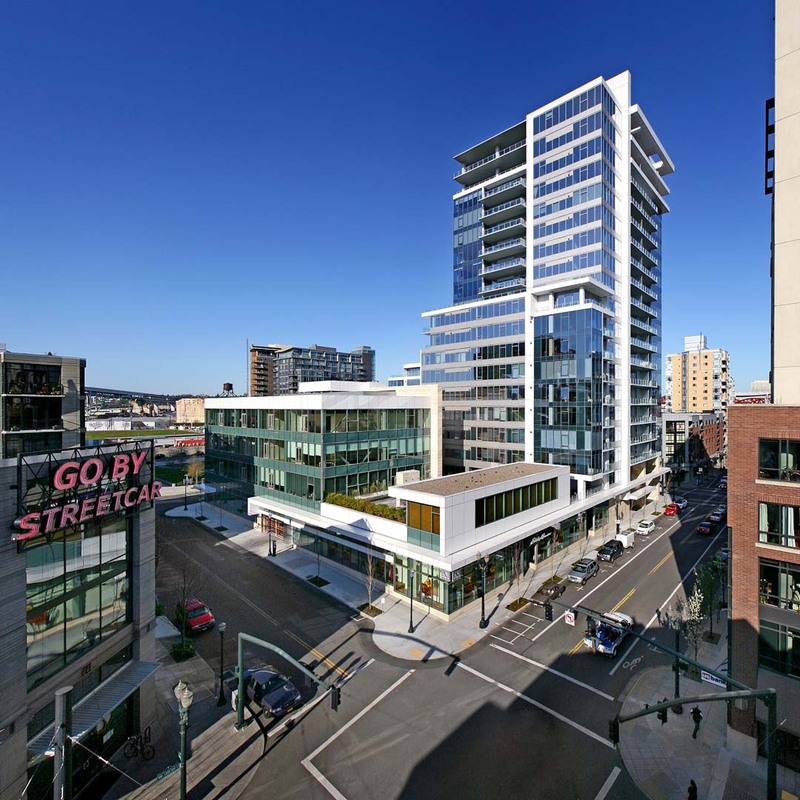 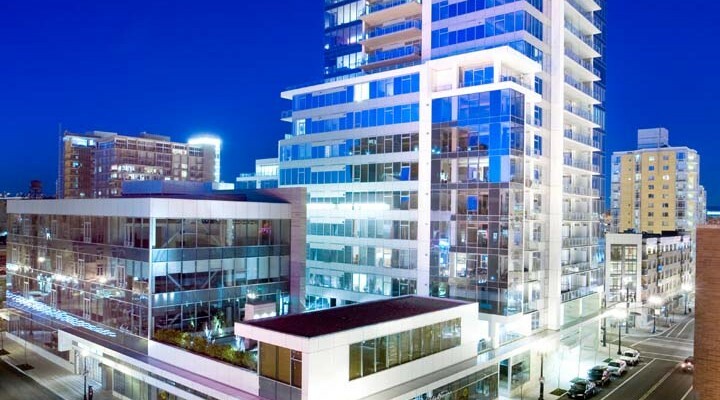 This landmark development features a residential tower connected by a 20,000 square foot street level podium to a 4-story structure known as the Live/Work building. 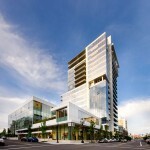 The podium houses a variety of retailers and blends seamlessly with the surrounding neighborhood shops and boutiques. 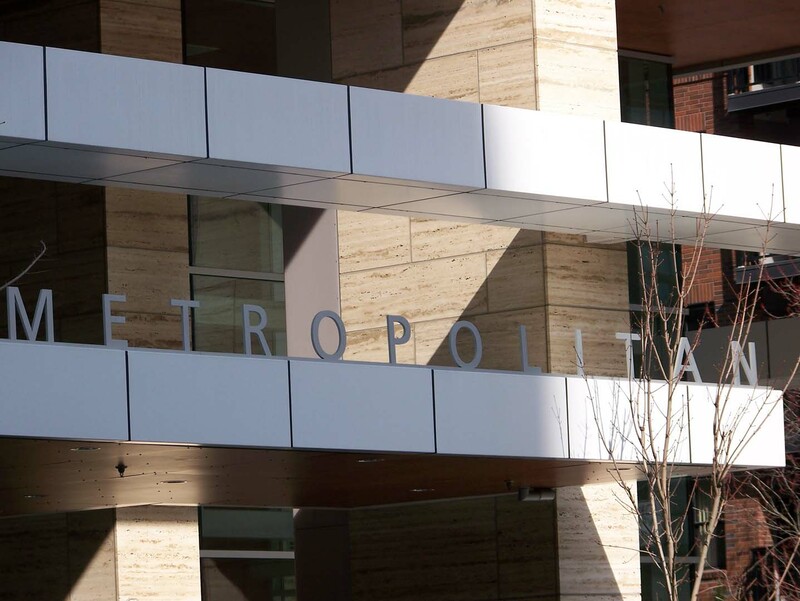 The Metropolitan is the tallest building in “the Pearl” and it is elegantly enclosed with custom natural stone and curtain wall systems. 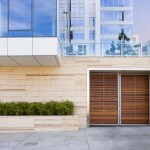 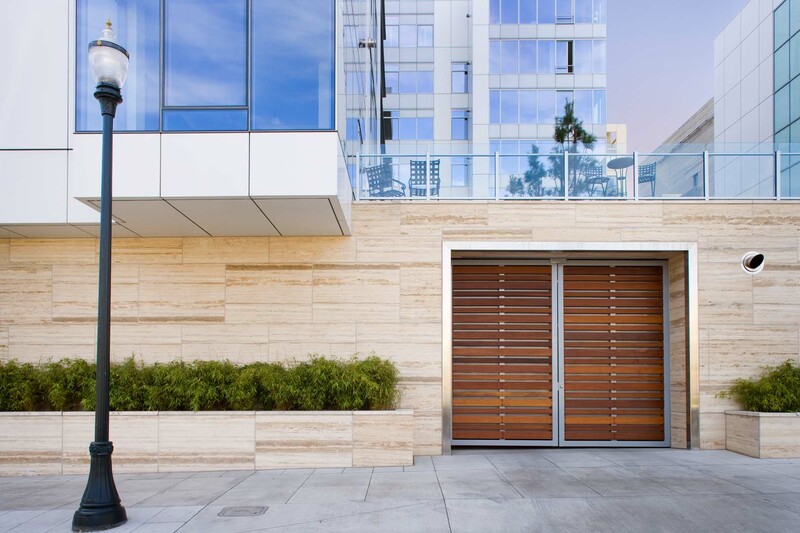 It showcases 16,000 square feet of mechanically anchored Roman Travertine cladding, hand selected by the Owner and the Architect at the quarry in Rome, Italy. 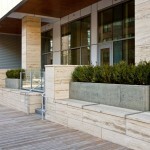 The material was selected because of its unique sedimentary layers that display alternating light and dark veins. 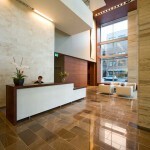 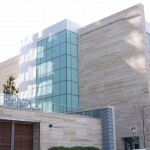 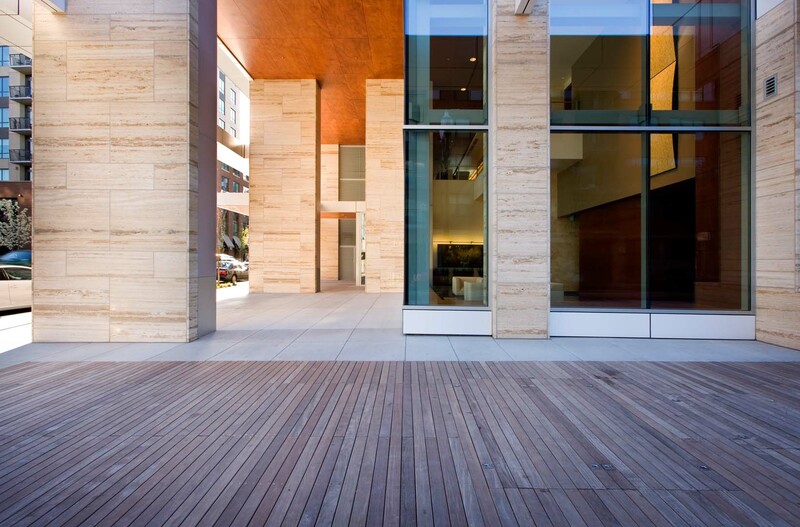 Large travertine clad columns accent the main entrance to the residential tower, while the Live/Work building features towering walls with a travertine facade. 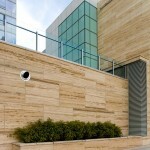 The ground floor perimeters of the buildings are arrayed in travertine, with full height feature walls emphasizing the entries on each elevation. The roof of the podium includes a landscaped outdoor plaza providing the tenants with a common area for relaxing and socializing. 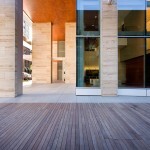 This plaza connects the tower to the “Live/work” building and includes a series of travertine and schist cubic walls and benches. 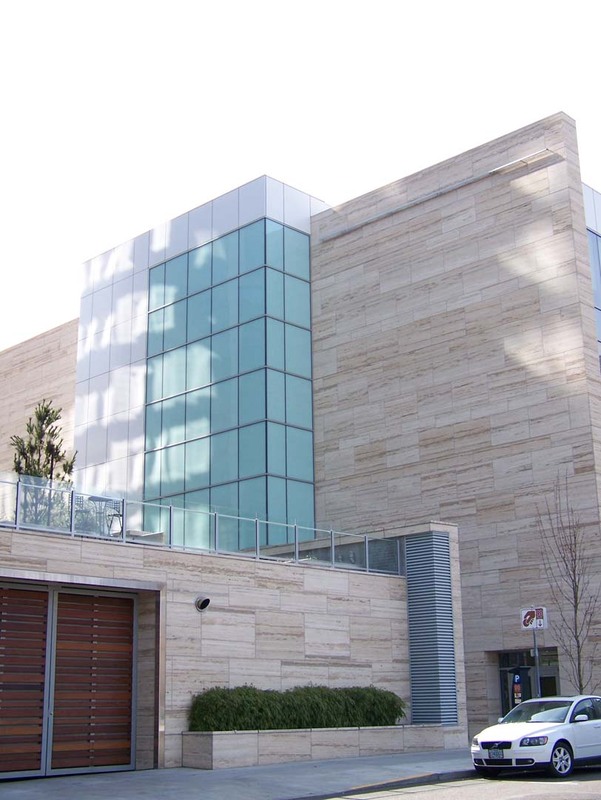 One very special element is a memorial literally carved in stone; it includes several stone panels engraved in Italy with the honoree’s signature expressions and memories. 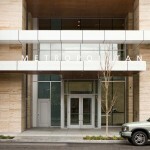 In addition to the sheer elegance of the building, it was designed and built with sustainability in mind. 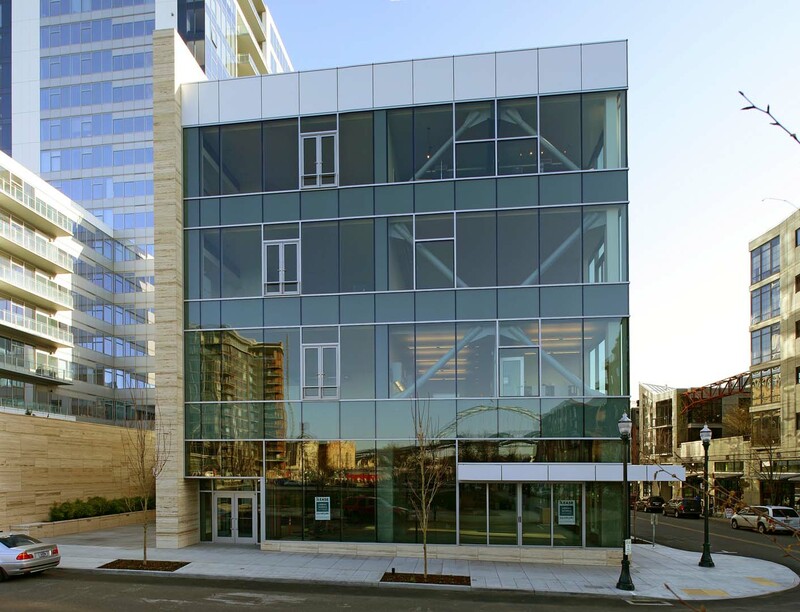 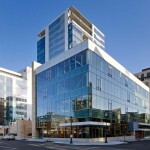 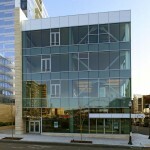 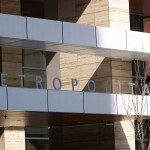 Ultimately, the US Green Building Council awarded The Metropolitan LEED Silver status. 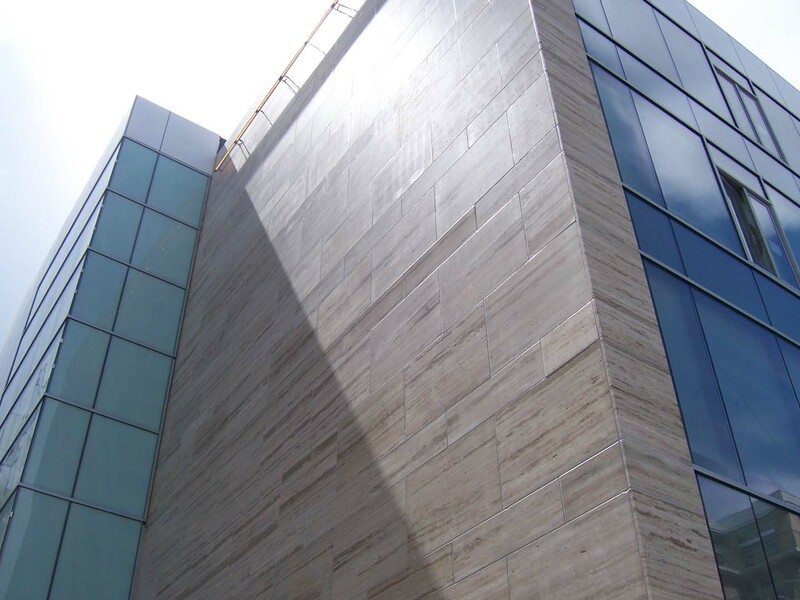 The custom nature of this project required more than 1,700 different stone pieces derived from more than 500 individual stone cutting tickets. 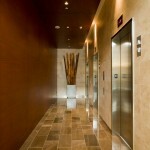 This presented a challenge for both budget and schedule constraints. 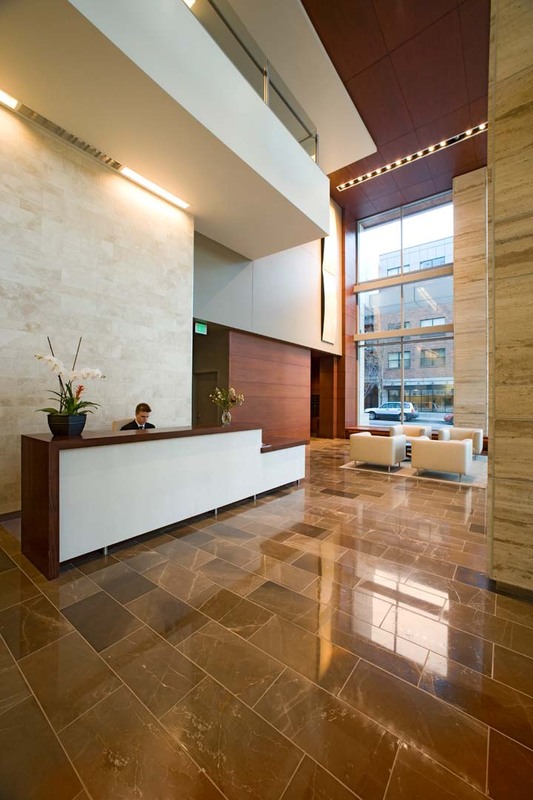 This gave CSI and its sister company, Natural Stone Designs, an opportunity to problem solve and hone its fabrication skills. 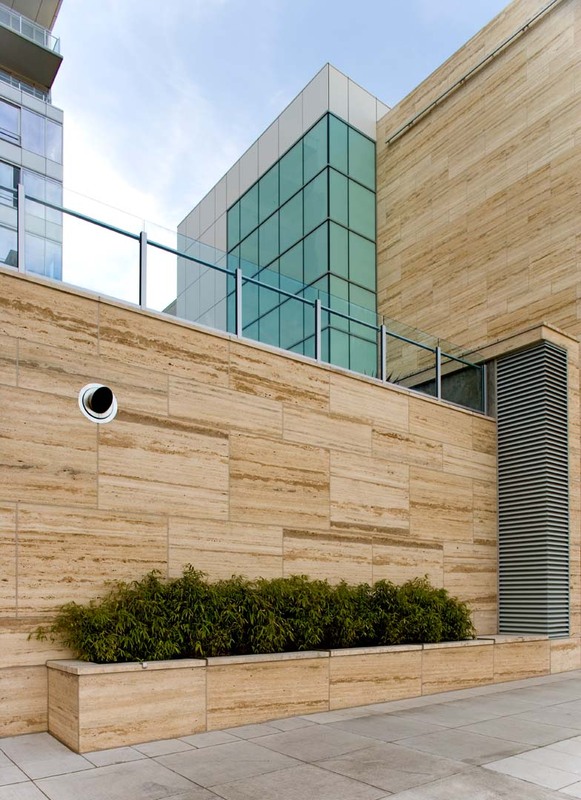 All of the travertine was quarried in Italy and the about half of the individual stone pieces were fully fabricated before it left for the states. 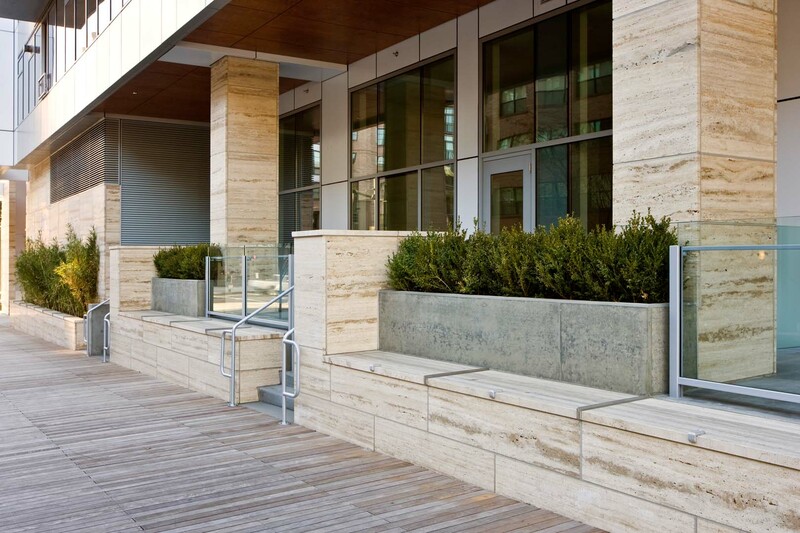 The balance of the material was shipped to Portland in slab form where all final dimensioning and detailing was completed in our local shop. 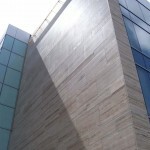 This saved time and cost allowing the overseas operations to run concurrent with the local fabrication. 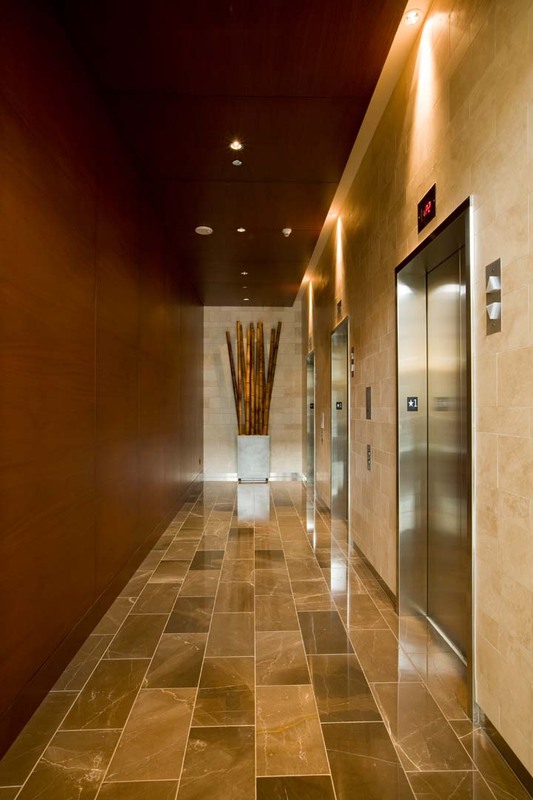 We were also able to put our water jet cutting equipment to the test in that we accurately cut light fixture penetrations through 4” thick schist (an extremely dense material) that would eventually clad plaza site walls and bench tops. 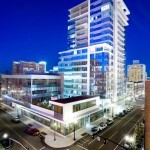 This entry was posted in Mixed Use on October 1, 2014 .